Holness noted that the monument, being strategically placed at what could be deemed as the corridor’s entrance, can potentially bring much needed revenue to the now economically defunct area. “Tourism is our number one industry in Broward County. If we are able to bring some of those tourist dollars into our communities, especially those communities that have been left behind, it could have serious economic impact if we really acknowledge the rich history of the area and utilize that rich history to bring economic development into the area” said Commissioner Holness. George Gadson, the noted African- American artist commissioned to sculpt the monument said his purpose when sculpting is to transform the environment by integrating art. 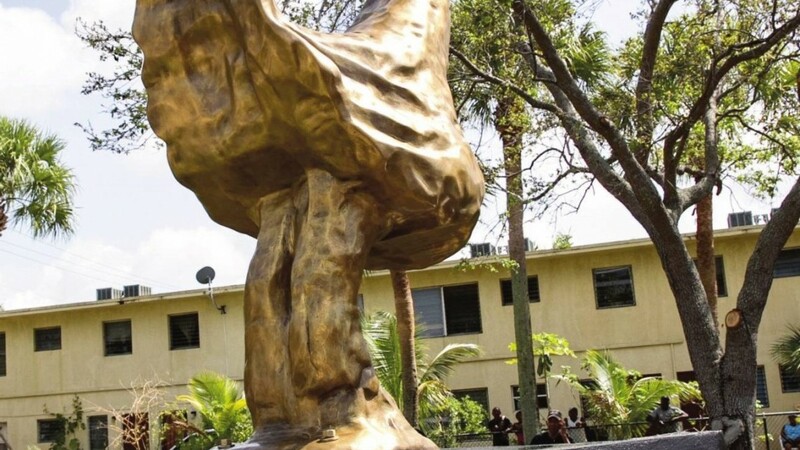 “The piece itself speaks to the issue of looking at our rich past and history of black Fort Lauderdale and serve as a means of encouraging individuals not to forget the past but also look forward to the future and be a part of making the future promising for everyone.” Gadson said. The symbol shows the bird’s head turned backwards, carrying an egg, a reference for the future. The simultaneous forward movement of its feet teaches that bringing the knowledge and values gained from the past, and utilizing their full potential in the present, will result in positive outcomes for the future. Dr. Dorothy Jackson Orr is a native of Sistrunk and the first African- American elected to serve on the School Board of Broward County, which established her as the first African- American to serve on a school board in the state of Florida. Orr said the symbolism of Sankofa holds true as she and others raised on the corridor circa 1930 and throughout the civil rights era, recall the deep moral values the close-knit community was founded upon that ensured their success. “Mine is just a small testimony to the love and appreciation for those who helped us as we grew up. The elders in our community were role models for us. I give praise and thanks for this community, for the way you have supported me and the way you’ve taught me. This is the way a community is supposed to be. We are supposed to help those who will be in charge as time goes on.” said Orr. 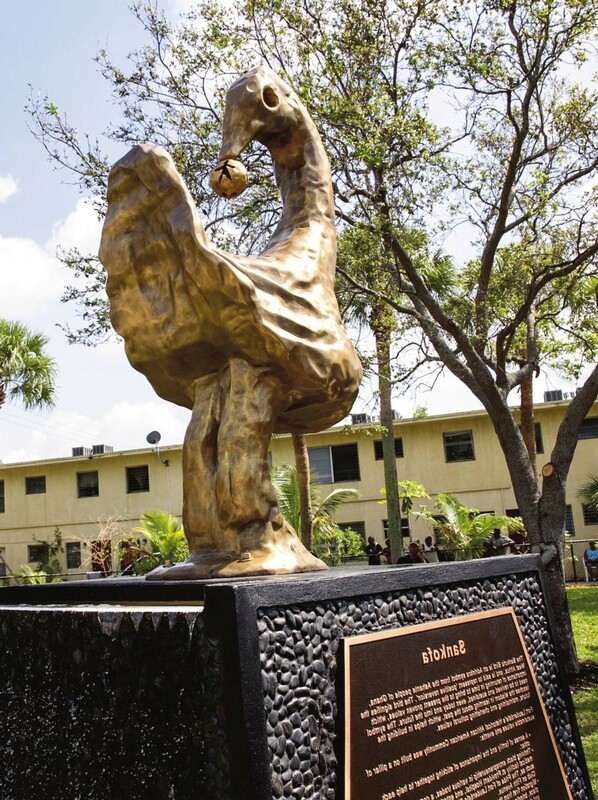 The monument which is set to become a historic landmark can be viewed at Sistrunk Park, 200 W. Sistrunk Boulevard, Fort Lauderdale. Next post Congresswoman says "throw out Florida congressional district map"